The Liber has always been a jewel in the crown of the Bolter and Chainsword - so many of us have enjoyed the feeling of creating something that can exist and thrive within the 40k universe. Whether a custom Space Marine Chapter, an Imperial Guard regiment of renown or a mysterious Eldar Craftworld, creating background has been as integral to the hobby as converting, modelling or painting. Over the years the Liber's posters have participated in many group projects - projects such as creating the Imperial Castellans, the War Bearers and the Dark Sons, to say nothing of the Liber Cluster. With the expansion of the Bolter and Chainsword and the inclusion of Xenos, the Liber has restructured in order to accomodate the huge range of potential DIY projects, from Chaos Warbands to Sisters Warbands. 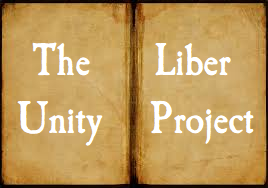 And thus, the Liber Unity Project is born! B+C posters are in the midst of creating a Space Marine Chapter, a Chaos Warband, a Sisters Order, a regiment of the Imperial Guard and a new Xenos threat. The plan is then to create a campaign that links all five forces into a narrative. The collaborative projects are an opportunity for you to make a difference - from giving your opinion on others' ideas to contributing writing or artwork. 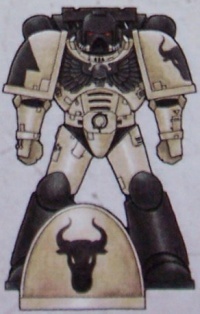 Currently, the Space Marine thread has a poll up to choose from four potential Chapters - the Celebrants, Brotherhood of a Thousand, Tauran and Night Watch. We would welcome your input! Edited by Commissar Molotov, 25 October 2017 - 04:13 PM. I'm just getting ideas started for my Sisters, I'm so down for this. Looking forward to whereve this might lead. Thank you, all, for the positive reactions. Thank you to the people who have contributed to the many threads, and all the people who have clicked through and voted on our Astartes creation thread. Currently, we are neck-and-neck between The Celebrants and The Tauran. Will it be one of these Chapters, or will the Brotherhood of a Thousand or the Night Watch surge back to claim the crown? Indeed, with approximately 24 hours left to vote, the Taurans have about 50% of the votes cast. Will they remain undisputed, or will another Chapter surge forward to take the crown? All are welcome down in the Liber! If the Space Marines aren't your primary focus, we have active discussion in both the Sisters of Battle and Astra Militarum threads right now!